These custom-fit, durable seat covers are designed to modify the interior look of your truck. 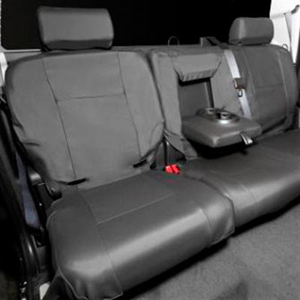 The engineered vinyl material protects the seat from spills, dust, mud and overall wear and tear. For 60/40 Folding Split Bench (A68).